I am always craving something with lemon. It scores a close second to chocolate. 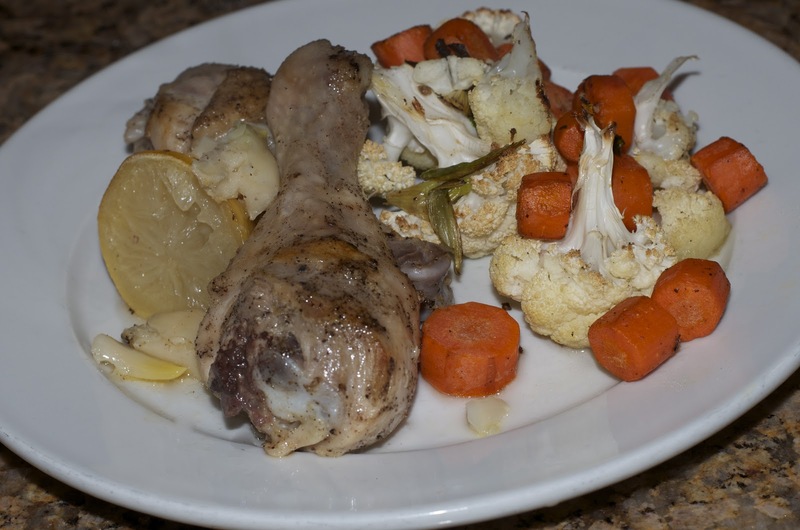 What better way to enjoy a savory lemon dish than oven braised chicken? And you can never go wrong with perfectly roasted vegetables. 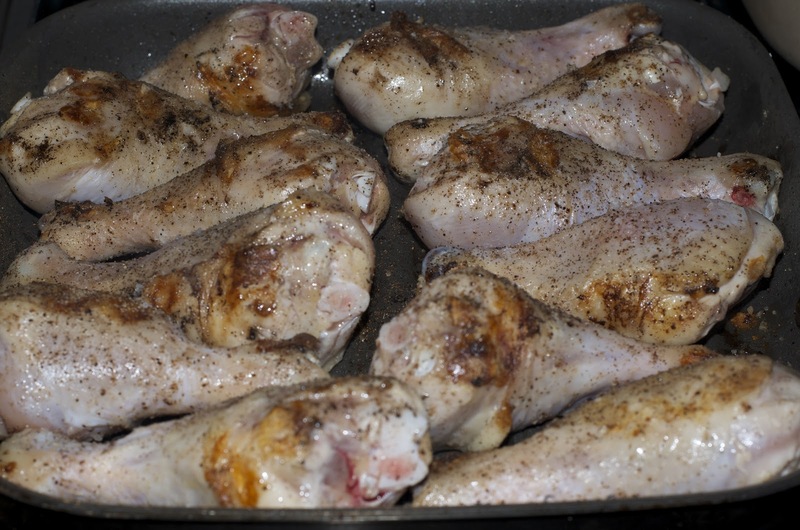 For the chicken, preheat an oven to 350 degrees. Generously salt and pepper the chicken and then grill on high heat just enough to start rendering the fat from the skin. Remove and set in a 13 x 9 pan. 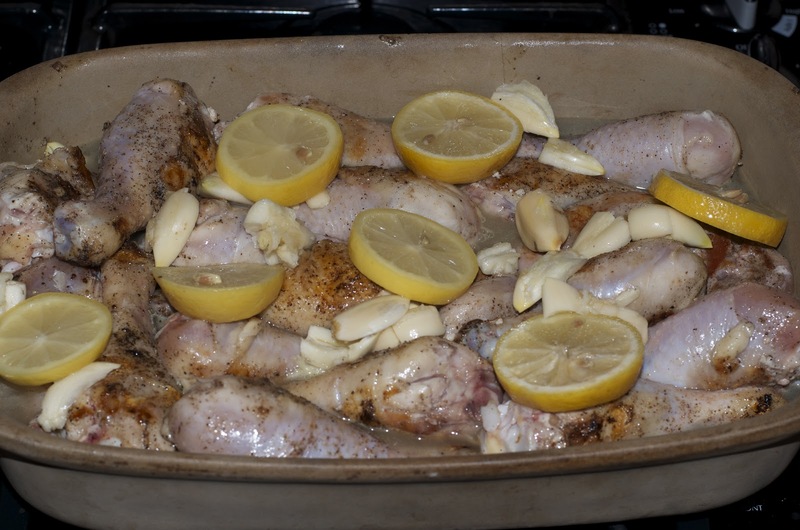 When all of the legs are done, add the stock to the pan, along with garlic and lemons slices. Cover with foil and place in oven. Cook for 30-45 minutes or until done and chicken is tender. Serve with a squeeze of lemon and additional salt and pepper to taste. For the vegetables, preheat the oven to 425 degrees. Chop any vegetable (s) so they are uniform in size. Coat with olive oil and salt and pepper to taste. 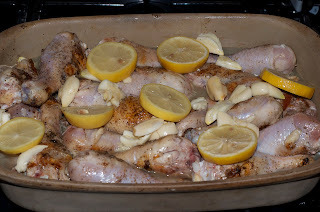 Place in oven and cook 15-25 minutes until they are tender. 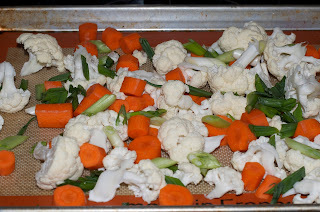 It is important to cook vegetables that are similar in crispness so one doesn't get done before the other. If you want to use a variety, cook the crisper ones for about 10 minutes and then add the others.